Easy access to “core words” is key for efficient communication. Core words are the high-frequency words, such as “I”, “you”, “go”, “do” that make up most of what we say. But not every AAC vocabulary keeps them in a consistent location. In Crescendo, buttons for core words appear in the same place on the home and fringe pages. This consistency supports learning through motor planning, a process your brain goes through when learning a new skill. Through consistent repetition, you learn to carry out tasks automatically. 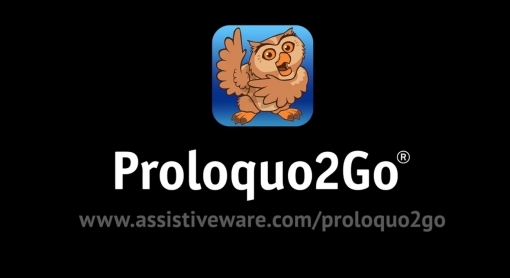 Proloquo2Go is one of the few AAC apps that covers all users, from beginning to advanced communicators, while catering for a wide range of fine-motor, visual and cognitive skills. Crescendo offers three pre-programmed vocabulary levels: Basic Communication, and the research-based Intermediate Core and Advanced Core levels. Users can move up and between levels while customizations are retained. “Fringe” words are the more specific words used in conversation. Some AAC systems have less fringe words to allow for efficient navigation and access. But this approach limits the user’s ability to explore language and expand vocabulary. Crescendo gives you access to 4,750 unique words and another 7,250 words pre-categorized in storage. The unique VocaPriority™ system makes customization of fringe pages a breeze without needing to delete or create buttons. Of course, you can also add buttons selecting from over 20,000 SymbolStix® symbols or by using your own photos. You can choose from 23 different grid sizes. This AssistiveWare video shows you our research-based Crescendo vocabulary. You will learn how to create a new user, how to benefit from easy access to core words and have a look at the different vocabulary levels. 05:52 What are core words?